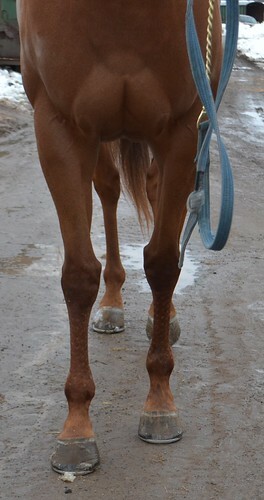 Spinyatta, 2014, 16.2h+ Chestnut filly with roan. What a neat filly! This big bodied girl has a sweet personality, a kind eye, and an impressive stature that will surely just improve with age! Don’t let your eye be fooled– Spinyatta has the most interesting roaning on her right shoulder that gives her just enough pizazz to surely turn heads in the greatest of company. This charming filly has had just 15 starts, but earned over $40,000 on the track. 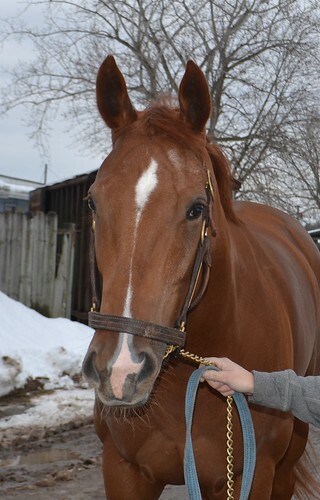 This year, her and her connections believe that her achievement on the racetrack is waning and are looking to let her move on while she’s still young, athletic and capable of reaching her potential in a new discipline. She is reported to be sound with no stable vices. 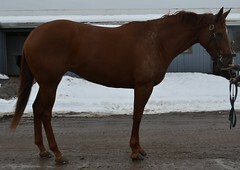 Her connections report that she is a horse who likes to go to work– she’s happy to do her job on the racetrack and trains well. 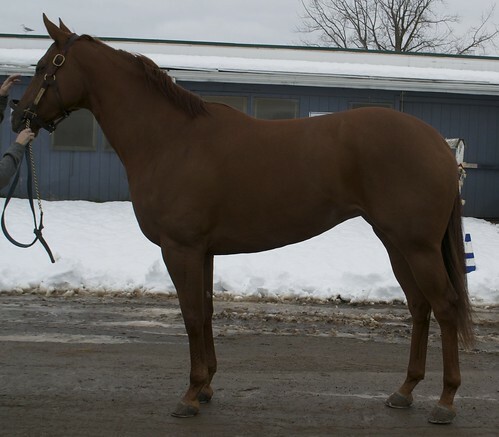 We could definitely see this filly maturing to be an outstanding sport horse partner! She clearly has the aptitude and athleticism for any discipline!! Spinyatta is by Hard Spun out of a Cozzene mare.